Malachi’s is hosting its annual toy party on Saturday, December 15, 2018 and we need your support. 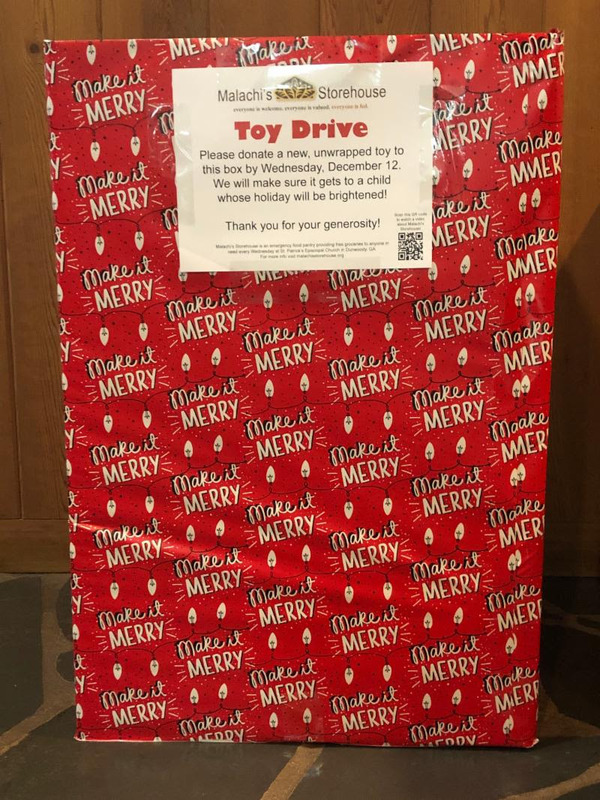 You may donate new, unwrapped toys and place them in the box in the narthex. Malachi’s will also accept gift cards, gift wrap, tags, and tape. Cash donations are accepted.